Rate this Article The Quest for a high-end stand alone VR headset has arrived and will soon be available in VR and computing stores world wide. After Oculus was assimilated by Facebook and Mark Zuckerberg, a lot of developments have taken place. The direction of the push looks like making the Oculus as user friendly and accessible to VR users everywhere. The application of the Oculus into Facebook was a huge spearhead to bring VR into Social Media and global communications as well. However, one of the problems of high-end quality VR headsets was in the usability department. For one, they needed a powerful PC and they needed to be attached to it. The existence of portable VR HMDs was not lacking though in any way as both Google Cardboard and the Gear VR where very much globally accessible marketwise. The downside was that wide spread as they where, they could not deliver the kind of VR quality and experience that the three main tethered brands could, namely the Oculus, the Vive and the PSVR. So, the quest was for an HMD that had the portability of the Gear VR and the quality of the Oculus Rift (at least for Zuckerberg and facebook). Oculus Facebook is one of the companies fronting the spearheading of this development. To make VR accessible, Facebook Spaces was implemented into Facebook itself around April of 2017. This allowed users of the Oculus Rift to connect via a special VR environment on Facebook where they could communicate with their friends and other users via avatar form. The drawback was that very few people had actual access to an Oculus Rift. A year later, the Oculus Go was released coming out in mid 2018. It was finally a stand alone headset with everything needed practically built into it. With the Go, integration was the name of the game as it had the processor, rechargeable battery, built-in gyroscopic magnetometer sensors, lenses, memory, screen, cooling system and a whole lot of other components that made up the VR HMD itself. Audio was piped through the strap itself though an optional 3.5mm audio jack was available for separate headphones as well as a micro-usb port for power recharge and data transfer. The drawback, it was kind of heavy and performed more like an in-between of the Rift and the Gear VR. But that was the Go. Oculus has been known to be working on a special HMD project called Oculus Santa Cruz. The aim of the project was to sort of make the Oculus Rift un-tethered to the PC. In short, it is going to be a portable and wireless version of the Rift that doesn't need external cameras and sensors as everything needed would be built into it just like the Oculus Go, only much much powerful. The HMD is planned to be released to the public this 2019 and test units have already been demoed and tested with very positive results and observations. Thus comes forth the day of the Oculus Santa Cruz project now known as the Oculus Quest. To begin with, the Quest has been in development under the watchful eye of its Chief Technical Officer John Carmack. So, it looks like Id has a big stake on this. Carmack's technical know how on anything 3D graphics is now being applied to the push in high-quality stand alone VR HMD, tracking, application, performance and of course ultimate VR 3D gaming. With the co-creator of DOOM on-board the project, we the expectant public can expect a lot. The Quest will also have the ability to sideload content from a PC or mobile device. This means that a wide variety of data can be transferred to and from the unit which gives the user a wide berth when it comes to accessibility. If you look at it, the Quest is actually a really advanced version of the Go. The lenses are the same but this time, you can make lens-spacing adjustments easily and it uses a resolution of 1,600 x 1,400 for each eye. just like the Go, everything is in the HMD from the ram, the storage memory, Qualcomm Snapdragon 835 processor, rechargeable battery, sensors, USB-C port, audio jack and the piped audio via the straps if audio privacy is not a thing to you. One innovative feature that the Quest has is it's awesome inside-out tracking system. It uses four cameras each at the corners of the HMD to track physical space and the movement of the Touch controllers. Called Insight tracking, the quest can track all physical objects in your VR area or game space like the floor, the ceiling, the walls, windows and even your pet cat, dog or hamster running around. It looks for edges, corners and other distinct obstacles and builds a 3D data map of these and co-relates them with the internal gyroscope and accelerometer to give the HMD's position once every millisecond. Awesome as it integrated everything and you can move around a really wide space like an arcade or a gym to the tune of 4,000 square feet with the Quest knowing if you'll bump into something with the use of it's protective guardian system. What more, you can save the map of your physical play space and choose it during set-up. If you use your Quest say on an indoor basketball court and your living room as well, the Quest will have specific area maps for each of them. 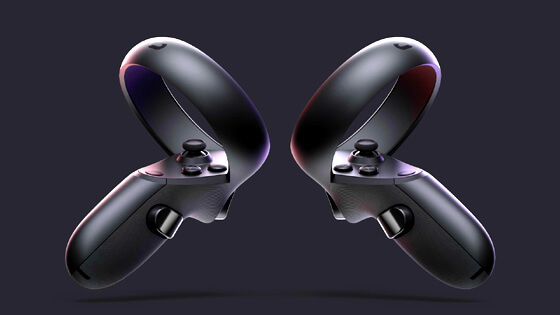 As for motion control, the Quest will be using its own special set of Touch controllers that have the IR controller sensors facing upward to be more visible to the cameras located on the HMD. The shape will be a little bit different and the control buttons re-positioned as well. Despite these little changes, these controllers will work just the same for the old Oculus Rift. Experience wise, many (but not all) of the titles for the Rift will work for the Quest as it will also have six degrees of freedom as well similar to the Rift itself. 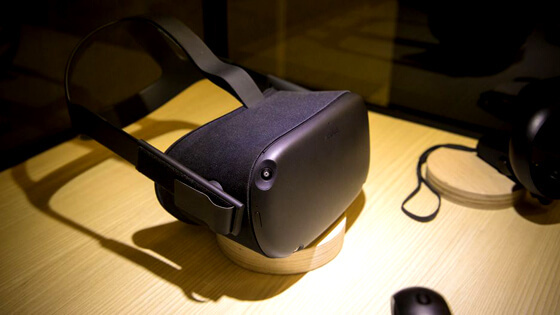 The Quest is expected to come out with an initial pricing of 399.00 USD and around 64GB of memory space and it will be using Oculus OS which kind of works like Android. Detailed specs are still sketchy at the moment so we will have to wait for the Oculus official release on these. Nevertheless, the Quest promises an advanced VR experience currently like no other and will no doubt place it in front of its major competition coming from Sony and the HTC Vive. For now let's keep our fingers cross as we wait and see what this new VR Marvel will bring us.